What a way to end the season! The past week has given us Great fishing. The Bonaventure and Grand Cascapedia were red hot and fishing was some of the best of the season. Conditions couldn't have been better, just enough rain to keep our rivers in perfect shape and the fall run of salmon in full swing. Its said thatpictures are worth a thousand words, well rather than hearing what i have to say about this past week, just check out our photo gallery for this past week. 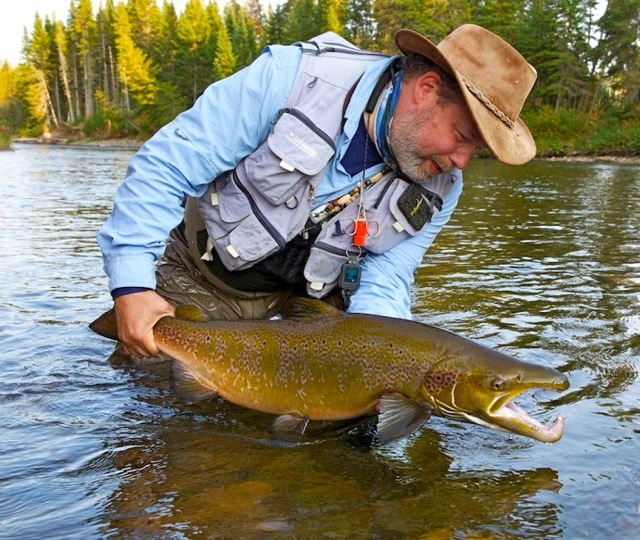 I have only one suggestionn to all salmon fishermen and fisher women, Book a Late September trip, its fantastic!!! 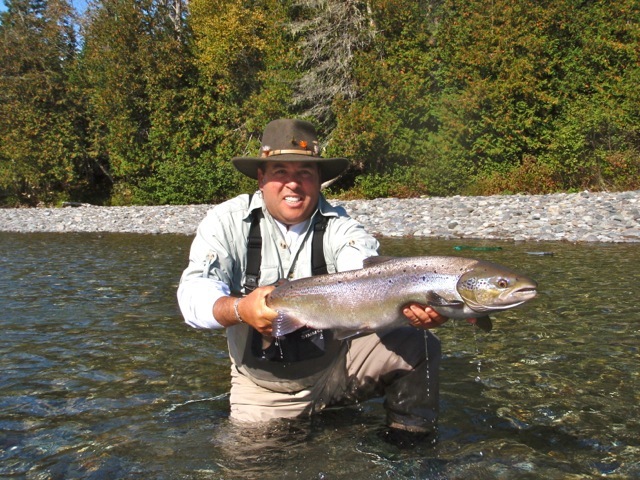 Dan Greenberg closes the season with another big Grand Cadcapedia Salmon, nice going Dan! 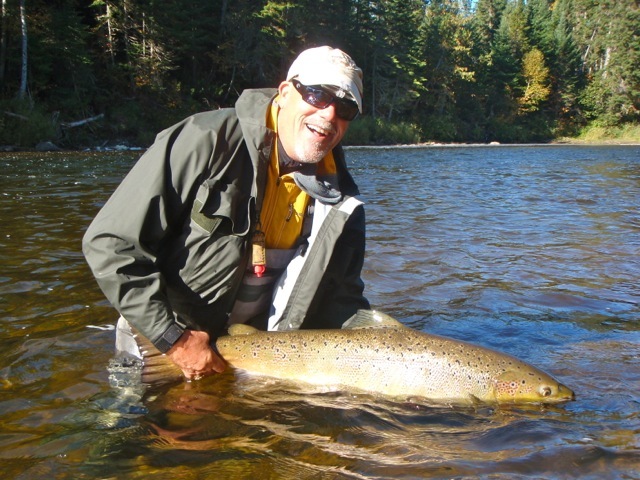 Jim Lawley sure knows how to catch fish, Congratulations Jim! Joe Colletta releases the last 2012 on the Bonaventure, until next season Joe, when you can do it all over again! The Red Francis continued to produce the best responsible for most of the catches. The Purple Popsicle also worked very well and a must fly in the box. We did manage to catch a few on dry's but at this time of the season red and purple are hard to beat.